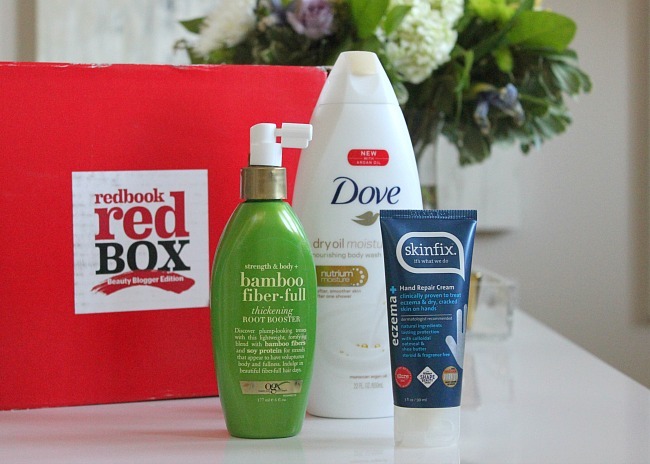 last week after having the baby i returned home to find my Red Beauty Box filled with products from the hottest beauty brands. as a Team Red Contributor i get the opportunity to try these products out and there couldn't be a better time than postpartum to pamper myself and use some great products that help me look and feel my best. there is nothing like the blah's of post-baby body to get you amped up for some new products. 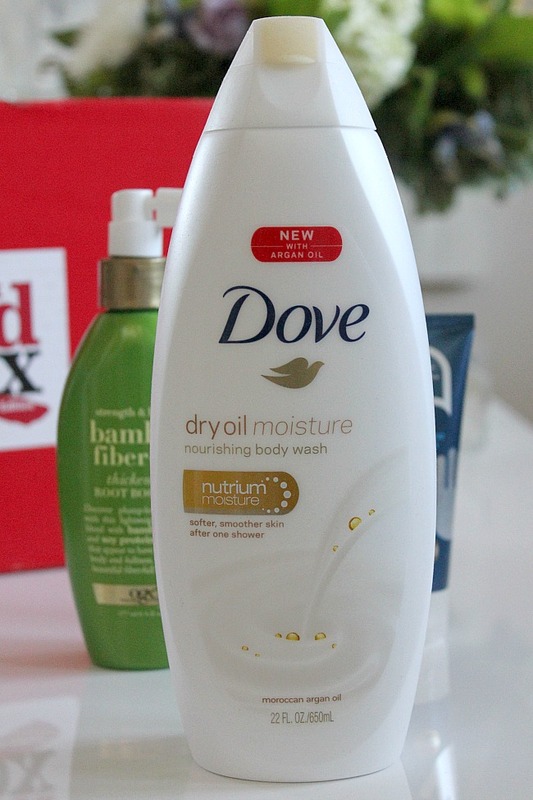 i have been a longtime fan of Dove and their new Dove Dry Oil Moisture Body Wash is the best body wash i have used yet. it nourishes the skin and replenishes 12x more skin natural nutrients than competitors. the new formula includes Moroccan Argan Oil beads that helps to leave your dry skin softer and smoother after just one wash. it maintains and nourishes your skin with the NutriumMoisture technology to protect essential lipids and proteins as well as deposits skin natural nourishers into skin. other body washes have a tendency to strip the skin of essential nutrients or only add moisture to the top layer of skin. Dove Dry Oil Moisture Body Wash penetrates surface skin up to ten layers deep and leaves your skin feeling soft and smooth. 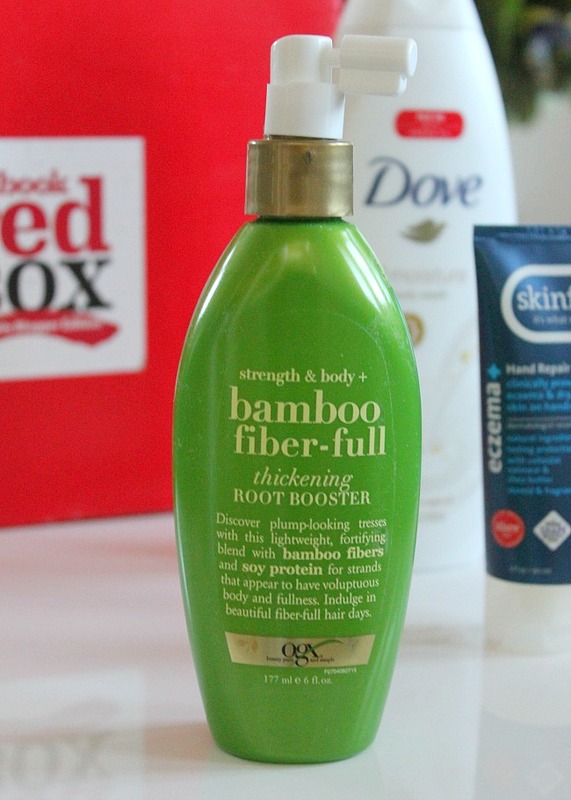 OGX is a brand i have used before and really liked but this is a product i hadn't yet tried. the Bamboo Root Boost Spray plumps your hair with a blend of bamboo fibers and soy proteins for strands that have fullness and body. it is so easy to use. simply mist onto your clean, damp hair and focus the spray nozzle directly on roots. to get even more volume flip your hair upside down and blow dry with a round brush. you can also spray on dry hair for touch-ups throughout the day. postpartum can leave your hair feeling so dry, brittle and limp that my hair is begging for a product like the OGX Strength + Body Bamboo Fiber-Full Thickening Root Booster. my biggest complaint postpartum is the swelling of your hands and feet. your body is left with so much excess fluid and because of unstable hormones and fluid these areas tend to swell. i needed something that would help sooth my irritated skin on my hands and that i could use to massage out the extra fluid. 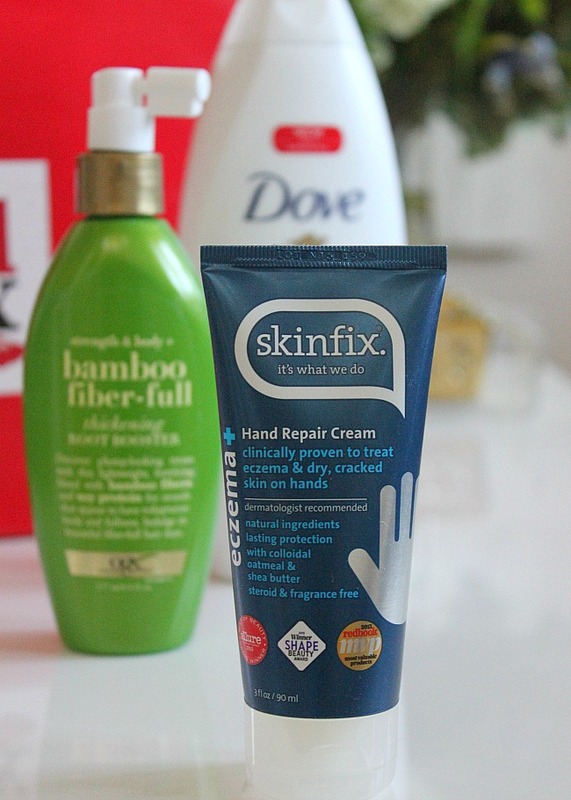 the Skinfix Hand Repair Cream for dry, cracked and irritated hands delivers healing benefits above and beyond the average hand cream making it the perfect solution for me. this hand cream has medicinal 1% colloidal oatmeal and natural active ingredients that relieve extreme dryness immediately. it has soothing botanicals and rich, natural butters and emollient oils that calms redness and itching on contact. this hand cream will also be a life saver during the winter months when my children suffer from eczema on their hands. this will help soothe and effectively treat eczema. i really was so appreciative to try out these products to give myself the refresh that i was looking for. whether you are post baby or just looking for a little extra beauty boost i would definitely recommend adding a new product to your lineup and these make for a great option. great skin, great hair and all from a product that is affordable. definitely worth it.